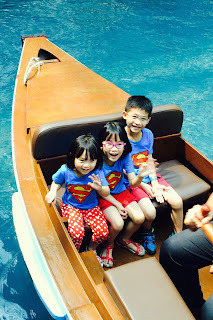 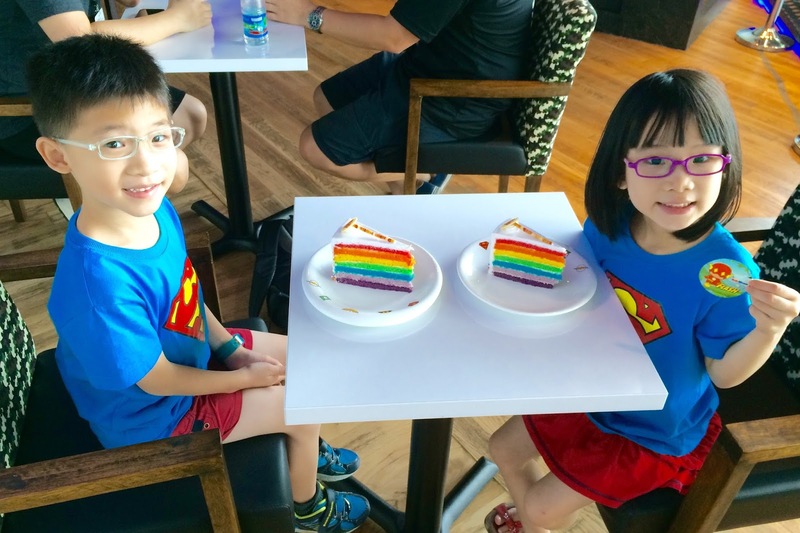 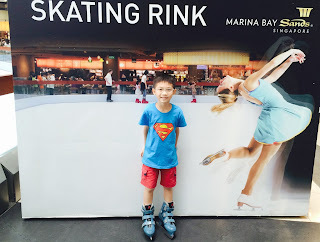 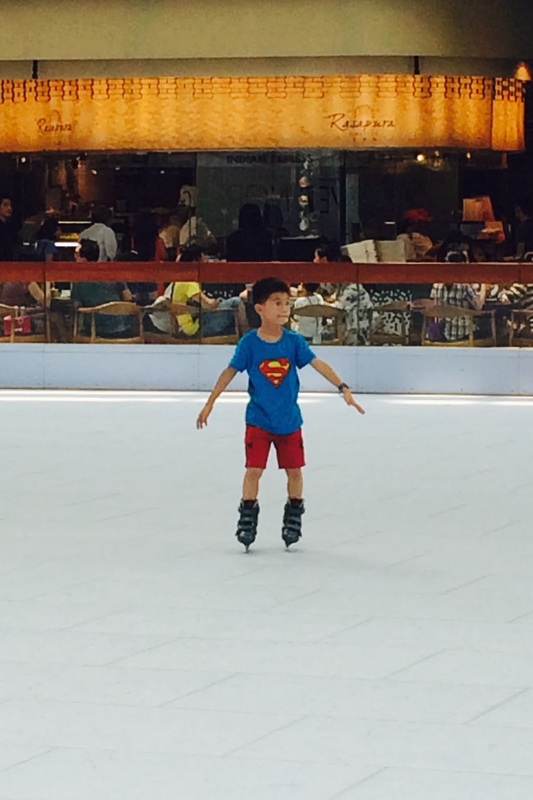 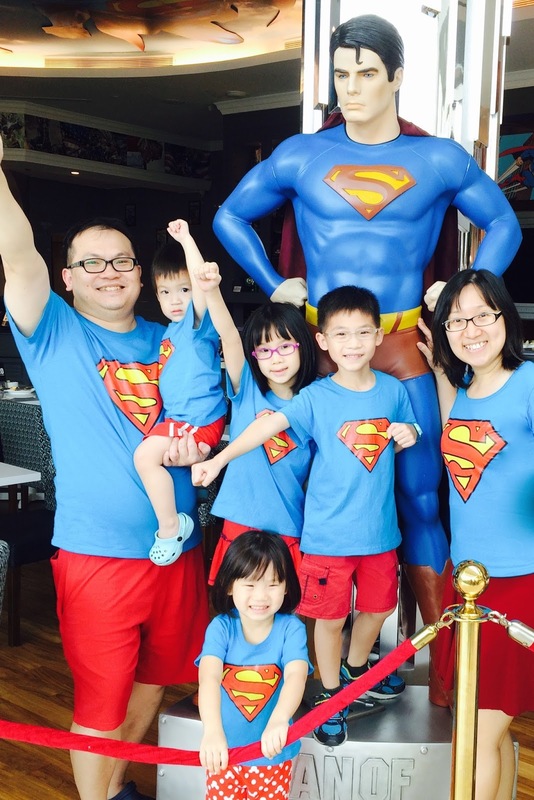 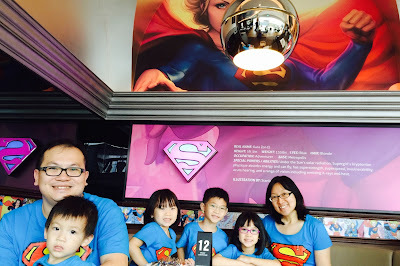 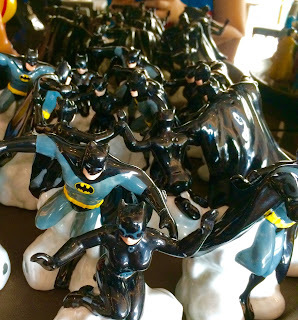 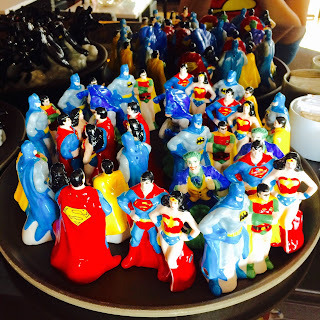 Polling day was a wonderful occasion for Joshua to join us for a promised visit to the Superheros Cafe at MBS. We had plenty of time to admire the decor of the place since we arrived half an hour before operations began. 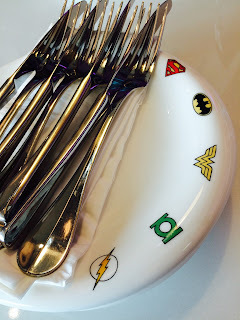 We sat at the Supergirl booth and we were all impressed by the design of the plates and other tableware. 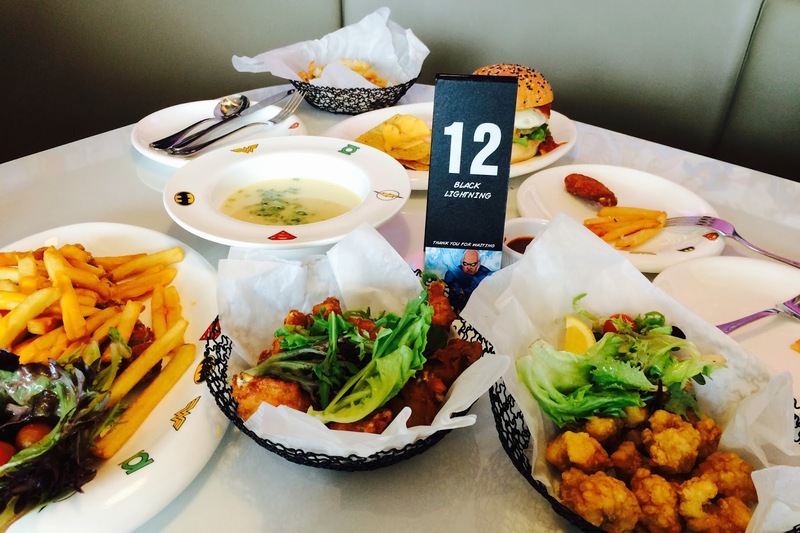 The food were pretty nice except for the aglio olio linguine which tasted so blah that we left it almost untouched in the end despite our aversion to food wastage. 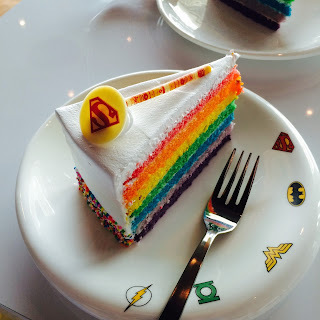 without holding onto the side.